WIMSA (WOMEN IN MILITARY SERVICE TO AMERICA) is probably the best-kept secret in Washington, DC. 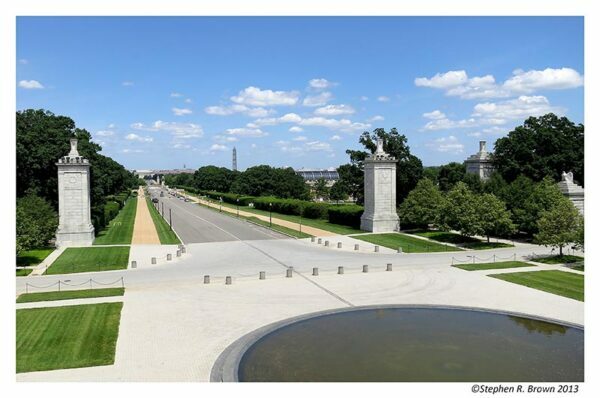 It is is one of the more significant yet invisible architectural triumphs in DC. Perfectly attuned to the cemetery’s overall facade, it goes unnoticed. 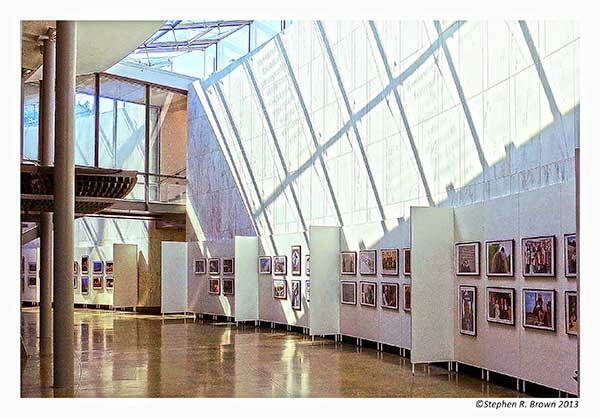 The interior has sweeping forty foot ceilings with enormous skylights which blow vast amounts of light into the interior, so much so that I am constantly surprised that the prints show no sign of fading. i am looking to place the show after July 2014 so if you have a large space-an airport lounge, corporate headquarters, etc…it’s available. It’s 440 fee long with 20×30 inch prints hung two high so it need room! Don’t forget to take a stroll on the roof terrace. The elevators are adjacent to the bookstore and there are steps on the sides of the Memorial. DC PHOTO BOOK is the only book on Washington, DC that mentions the Women in Military Service to America and appropriately subtitled “An Insider’s View”. 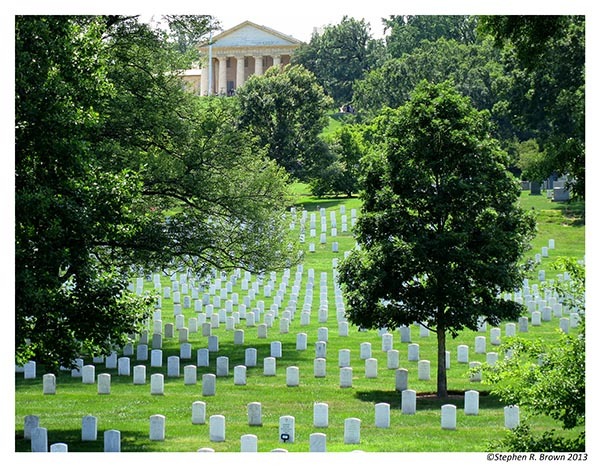 February 16, 2014 | Filed under Blogs, Books, DC Photo Book, Honor Flight, Uncategorized, WWII Memorial and tagged with Arlington Cemetery, Art, DC PHOTO BOOK, Honor Flight, Jewel of the Mall, National Park, National Park Service, patriotism, photography, Senator Dole, Travel, veteran, WWII Memorial.